Eyes that turn crimson with emotion... within the forest dweels a clan cut off from the outside world, fearful of harm because of this unique characteristic. They are the Kurata clan. 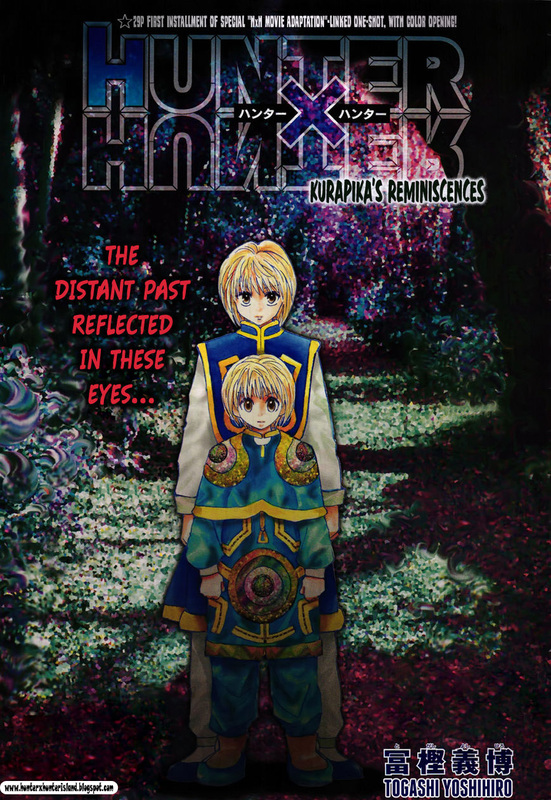 Among them is a young man named Kurapika, who has yearned for the outside world because of a book he read. The rule that "you cannot leave the forest until you become an adult" has always held him back. But through perseverance, he has finally received permission to take the exit qualification exam. The test is a test of self-control. 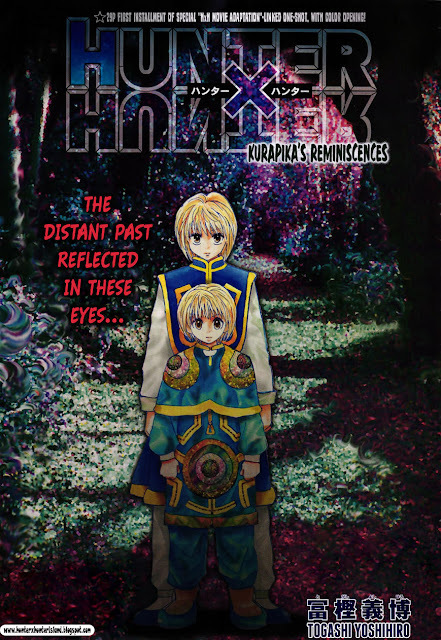 "You must return within 24 hours without letter your eyes turn scarlet"... Kurapika faces the final test with his friend Pairo (Pyro). What will he see in this unknown world...? waktu zeno sama kilva zoldyek di sewa 10 god father , ada 2 orang yg aneh . 1. yg bikin origami 2. yg rambut kuncir depan warna merah , mereka siapa i a, ada yg tau ga > ?